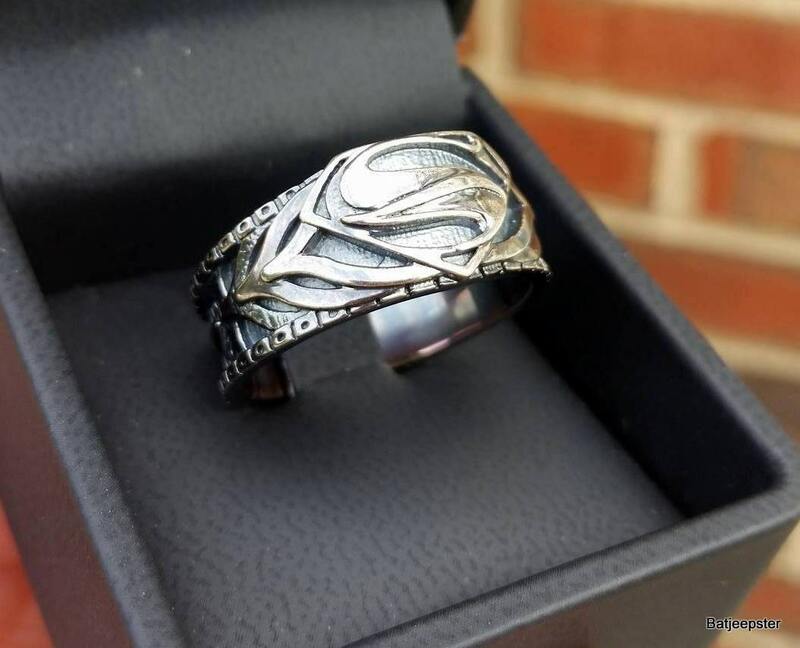 This is our artistic take on what an Armored Superman Ring would look like. 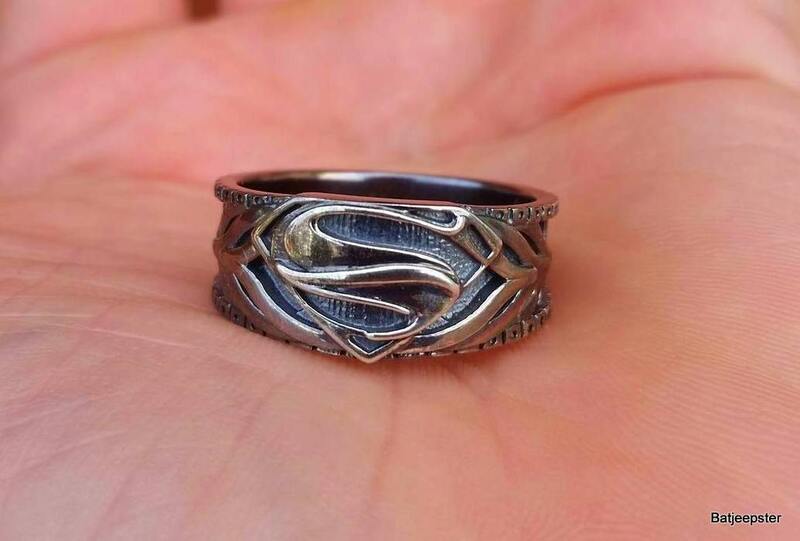 Please look at the details that went into making this ring. 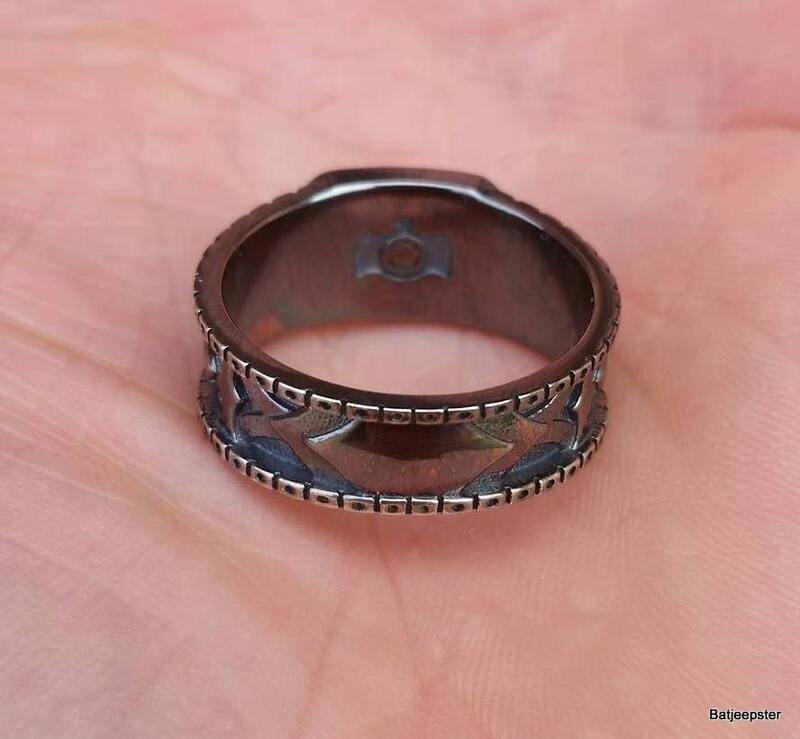 It is custom made to order item and no two rings are exactly a like making them one of a kind pieces to add to your collection. 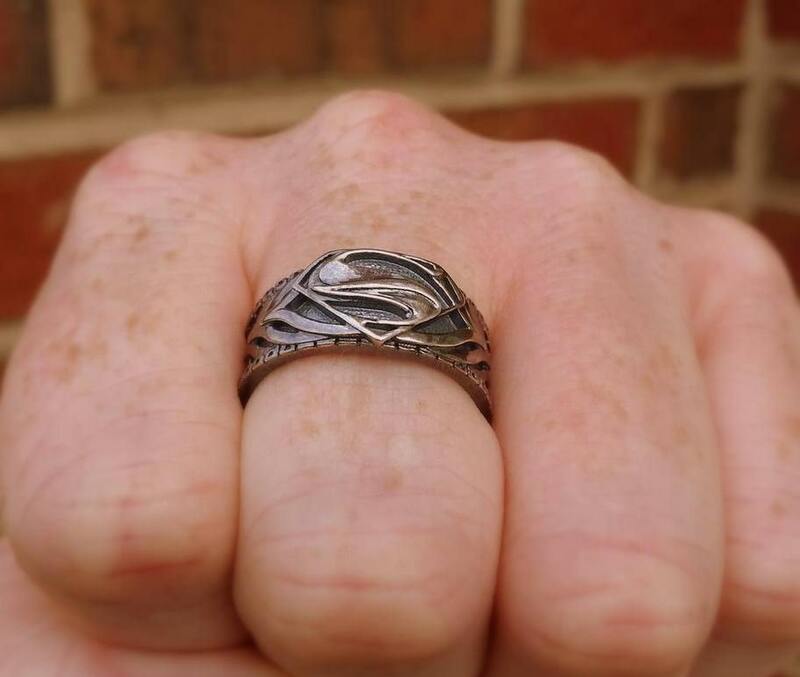 We offer it in an Oxidized .925 Sterling Silver giving it a unique finish that will sure to be a conversation piece for years to come. Please note though. The tarnishing is a process and when your ring arrives you may notice a slight rainbow effect or small flakes of orange in crevices.. This is a normal thing and it will slowly darken as the tarnishing process begins. 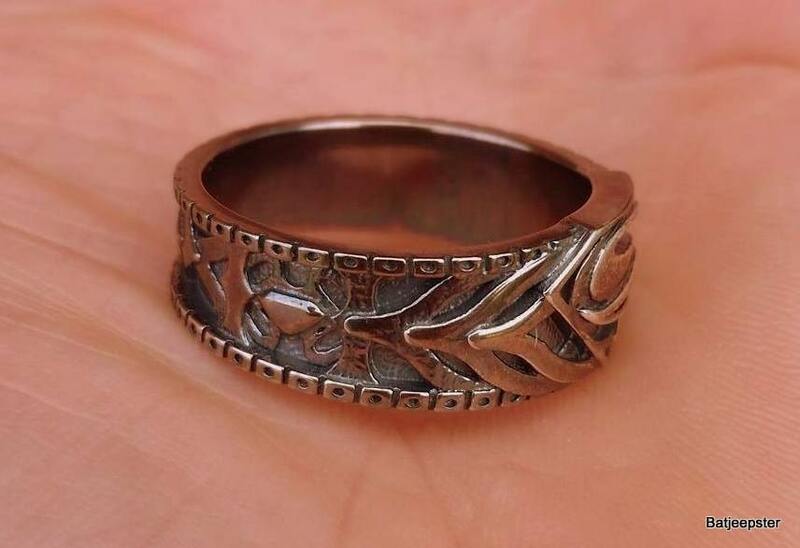 If this was removed the ring will still tarnish but it may take years to develop that gun metal look. We use a special finish to accelerate this process and that is what you are seeing. It is not a defect. Due to the overwhelming response of our customs we are about a 3 week turnaround but that just shows how much people enjoy our work! Who we are: Batjeepster Rings is not a merchandiser. We are two guys who work day jobs and do this work in our spare time. We create these pieces as our form of art. When you purchase one you are commissioning us to create a wearable piece of art. Much like hiring an artist to draw you a portrait. Thats who we are artists. We create pieces for our clients based off there love of whatever it is they want. These items are not some shelves in a back room. Each one is created for the client and thus each ring is unique. With that said its also true that we work as hard as we can to create these pieces for the client but like any form of art these things take time. Hence each item usually takes a few weeks on average. Also please be sure to get properly sized at a local jeweler. Holding your finger to a screen or wrapping a string around your finger doesn't count. Most of our art can't be resized and we can't resize a piece. The only way to create a new size is to forge a new ring. And this will incur a fee as each piece is a one off.